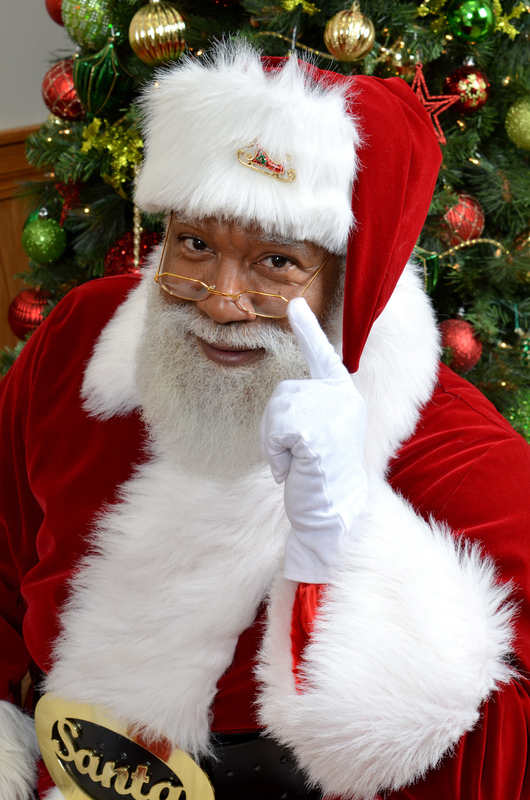 Black Santa Claus Larry Jefferson Is A Hit At The Mall Of America, But Faces An Online Backlash Larry Jefferson was the first black Santa Claus at the Mall of America in Minnesota. He was popular with the kids, but he sparked on online backlash from people who felt Santa can only be white. Larry Jefferson was the first black Santa Claus at the Mall of America in Bloomington, Minn.
Jefferson says the online negativity didn't surprise him — "because of the times in which we are living in" — but, he adds, "that backlash was only a small percentage." For Santa Larry, as he likes to be called, playing Santa pretty much seems to be his calling in life. "That's what all my friends are telling me, despite what the mean-spirited Grinch people are saying online," he tells NPR's Rachel Martin. "They're going to get coal ... for sure."